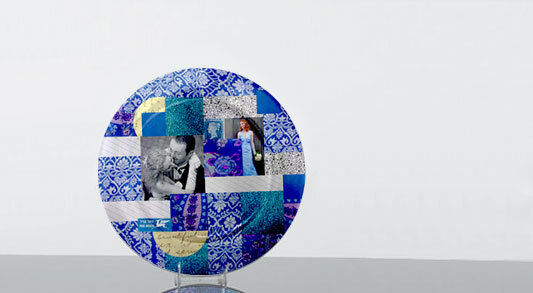 Decoupaged plates are a beautiful way to display memories of your wedding. Made with scraps of paper you could incorporate left over wedding stationery and bits of paper decorations, paper that wrapped your wedding gifts and of course photos from the day. They also make beautiful gifts for bridesmaids and parents. Step 1. Start by photocopying or scanning/printing your wedding photos onto paper. Photo paper will have trouble sticking. Step 2. With a large paintbrush apply the decoupage glue to the back of the plate and start placing your first layer of paper scraps and photos. If you need to start overlapping paper do another coat of glue first. Step 3. Once all pieces are in place finish with a final coat of glue and leave to dry overnight. This is so beautiful! 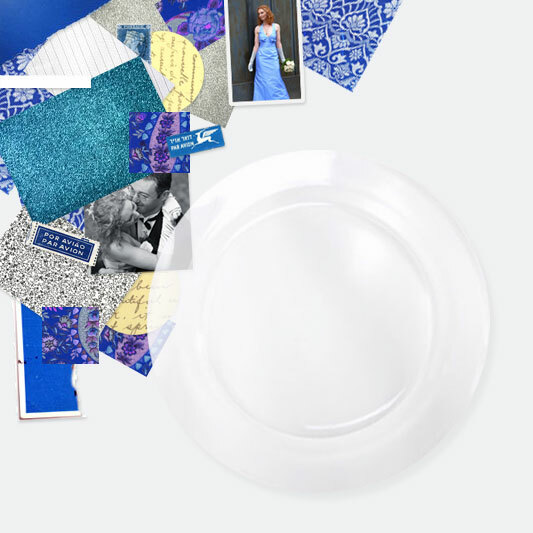 I'm looking for ideas on decoupage wedding plates for a summer wedding.